The Reactor Coffee Press makes your morning fix fast. 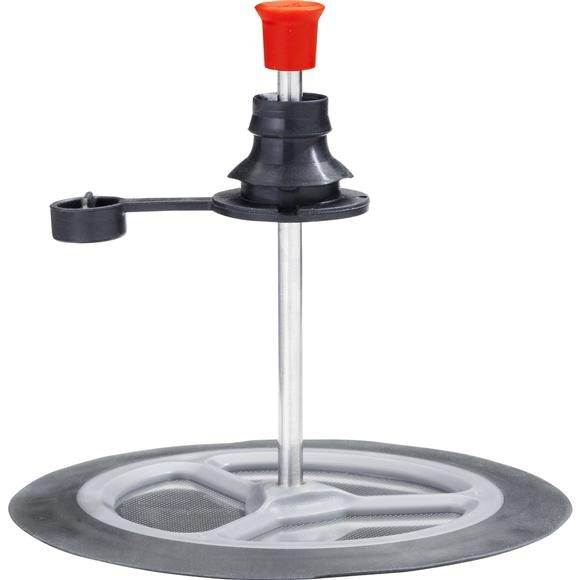 Each kit includes a new lid nob that accepts the Coffee Press plunger and seals tight for use without the coffee press. Our burly stainless steel strainer disc won't tear or fray, and a flexible perimeter gasket ensures the cleanest brew possible. The Reactor Coffee Press makes your morning fix fast. Each kit includes a new lid nob that accepts the Coffee Press plunger and seals tight for use without the coffee press. Our burly stainless steel strainer disc won&apos;t tear or fray, and a flexible perimeter gasket ensures the cleanest brew possible. And of course, it all breaks down flat for easy packing, making it the ultimate backcountry caffeine delivery system.